Promax and Capcom have announced Ace Attorney Orchestra Concert 2019, an official concert that will feature tracks played from the Ace Attorney franchise. 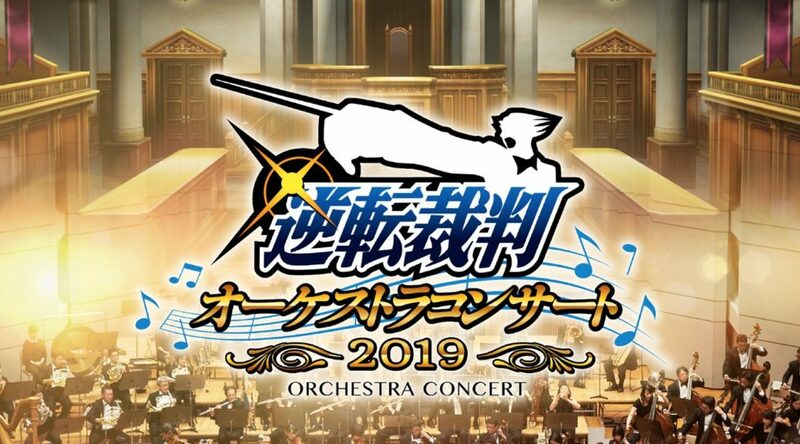 Ace Attorney Orchestra Concert 2019 will be held at Bunkamura Orchard Hall in Tokyo, Japan on March 30, 2019. Two sessions will be held on March 30 – the first starts at 1:30pm (doors open 12:45pm), while the second begins at 6pm (doors open 5:15pm). Tickets available include Special Visitors Gallery Seat (12,000 yen), S Seat (8,500 yen), and A Seat (7,500 yen). Special Visitors Gallery Seat includes limited edition goods and special design ticket. Children are not allowed to be admitted to the concert. Hirofumi Kurita, who has done a record label for Square Enix, will be conducting the concert. The orchestra playing for both sessions is Tokyo Philharmonic Orchestra. A special talk show, taking place during both sessions, will feature Ace Attorney voice actors Takayuki Kondō (Phoenix Wright) and Eiji Takemoto (Miles Edgeworth), as well as series composer Noriyuki Iwadare. For more details and to purchase a ticket, please visit the official website (Japanese).